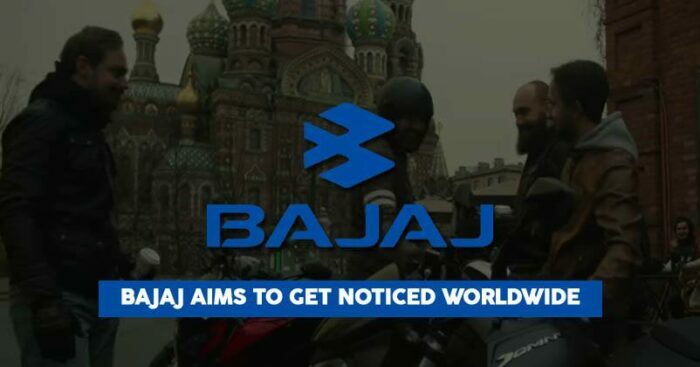 With the new TVC, Bajaj talks about its presence in more than 70 countries and tries to reflect and showcase the power of an Indian brand taking over the world. Sumeet Narang, Vice President of Marketing at Bajaj Auto explains that in the last ten years, the company has expanded their global footprint to about 70 countries, becoming top players there. In 2018, about two million units were sold in international markets from where about 40 percent of revenue is generated. “That is the reality of the brand, but the perception had not moved as rapidly. We realized there was a need for a new narrative for brand Bajaj,” Narang states. Needless to say, a project on this level required a marketing budget on a different level. “A brand identity change requires something big and meaningful and given our storyline, building on a scale and an element of awe, we wanted to make sure we left nothing to chance in making this a visual spectacle. There was a lot of work that went into editing and we feel every last penny we spent was worth it” Narang shares. Though the ad has a strong reflection of the past, and the emotional essence is still there, Bajaj is definitely looking at a bigger global connect and changing the brand imagery.